Industrial estates may influence a firm’s decision to export through better facilities and agglomeration economies. This paper investigates whether a firm’s export decision in the industrial estate is better than those outside. We then assess how industrial estate characteristics determine a firm’s decision to export. Treatment effect methods are used to compare a firm’s decision to export for those inside and outside of the industrial estate. A probit model is developed to assess how industrial estate characteristics (port distance, port capacity, electricity, water, number of tenants and fiscal incentive) affect a firm’s decision to export. We conduct a qualitative analysis through in-depth interviews with industrial estate top level managers and related institutions. The results show that a firm’s decision to export in the industrial estate was better. At the national level, industrial estate characteristics that affect firm’s export decision are water sources and fiscal incentives. At the regional level, especially in the Greater Jakarta area, almost all of the characteristics affected a firm’s decision to export. Utilities such as electricity and water sources positively affect a firm’s decision to export. Agglomeration economies which is represented by number of tenants and government fiscal policy is effective in increasing a firm’s decision to export. SABRI, Meindra et al. Industrial Estate and Export Decision of Manufacturing Firms in Indonesia. 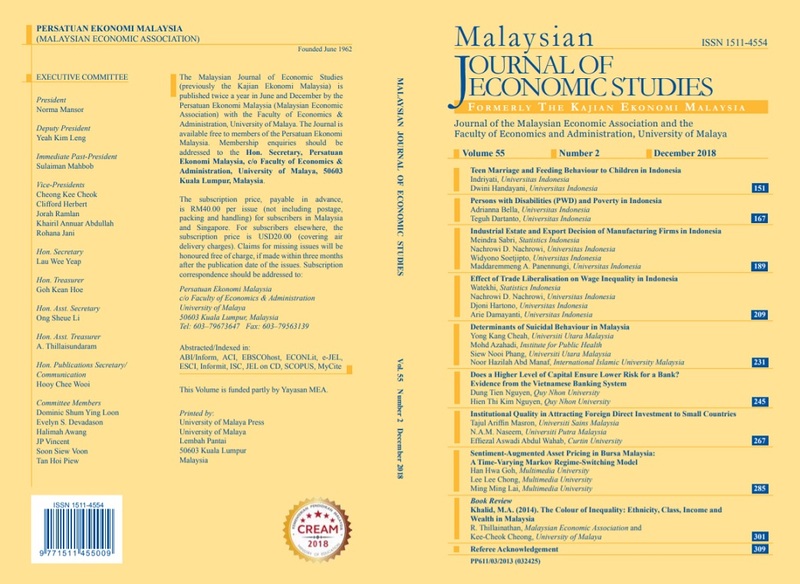 Malaysian Journal of Economic Studies, [S.l. ], v. 55, n. 2, p. 189-207, nov. 2018. ISSN 1511-4554. Available at: <https://mjes.um.edu.my/article/view/14564>. Date accessed: 20 apr. 2019. doi: https://doi.org/10.22452/MJES.vol55no2.3.